How to celebrate 25 years of blissful marriage in one fail swoop? Visit K. Alan Smith, Gem & Jewelry Salon and select the perfect Ideal Cut diamond and let Kim help YOU design the ring you always dreamed of. This creation involved designed elements from the original wedding ring, as well as flavors that the Mr. & Mrs. enjoyed in art and other jewelry styles that they had collected throughout their marriage. The emphasis was on a ring that could be worn prominently, and yet discreetly with the central gem being the focus. 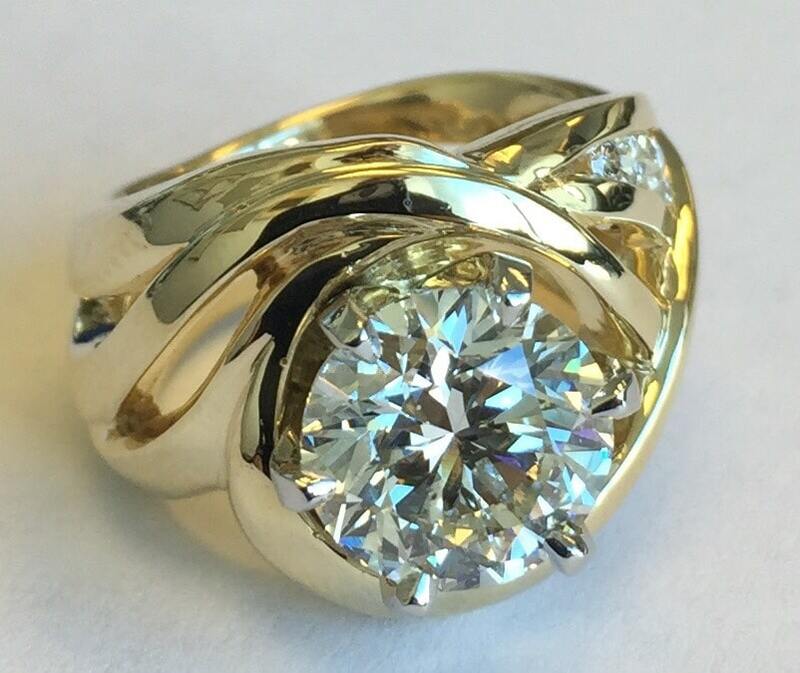 We even incorporated the gold and accent stones from the original ring into this stunning new design. A marriage and ring worthy of a celebration!